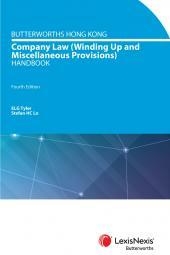 An in-depth analysis of the principles of Hong Kong company law. 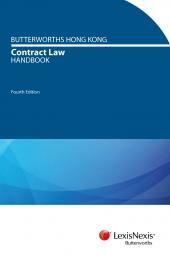 This is the first book to offer the reader an in-depth analysis of the principles of Hong Kong company law, coupled with a comprehensive collection of relevant case law from the Hong Kong courts. 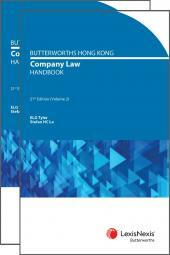 As Hong Kong company law no longer invariably tracks its English counterpart, this text has been written specifically to highlight key issues of Hong Kong company law and practice where the Companies Ordinance has departed from the English model. Accordingly, the book will be particularly valuable to practitioners in Hong Kong. The detailed text covers significant company law developments in Hong Kong including the Companies (Amendment) Ordinance 1997, which with effect from February 1997 abolishes the ultra vires doctrine and reforms the constructive notice rule. Recent important case law, such as the decision of the Hong Kong Court of Appeal in the Kishimoto case, is highlighted. The extensive use of foreign companies in Hong Kong practice is reflected in the text, with critical analysis of the important decisions in Re China Tianjin Economic and Technical Co-operative Corp and Elsinct (Asis-Pacific) Ltd v Commercial Bank of Korea Ltd. This book represents a major contribution to the literature on Hong Kong company law and as such will be welcomed by legal practitioners and company administrators, as well as those studying for degree or professional examinations.